A fox is the school mascot for three of our grandkids so I gravitate towards those pattern charts if I want to knit something for them. These Foxy Friends mitts by Fiona Alice fit the bill and were so quick and easy to knit as I began them Friday evening and finished both mitts by Sunday afternoon. The worsted weight yarn made for the speed and using the larger needle size for the stranded colorwork helped keep the tension looser. 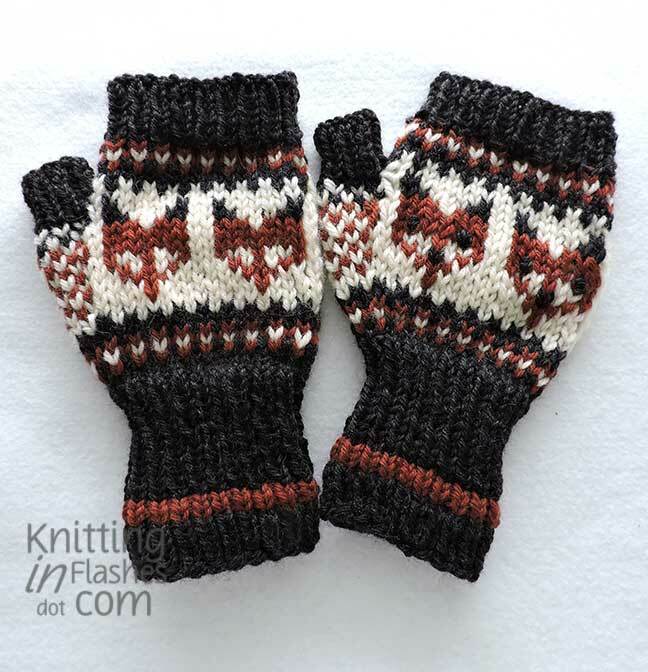 If I knit these again (and I’m sure I will as three kids can’t/won’t share one pair), I will continue the thumb pattern on the palm side as there will be shorter yarn floats in which fingers could get caught. 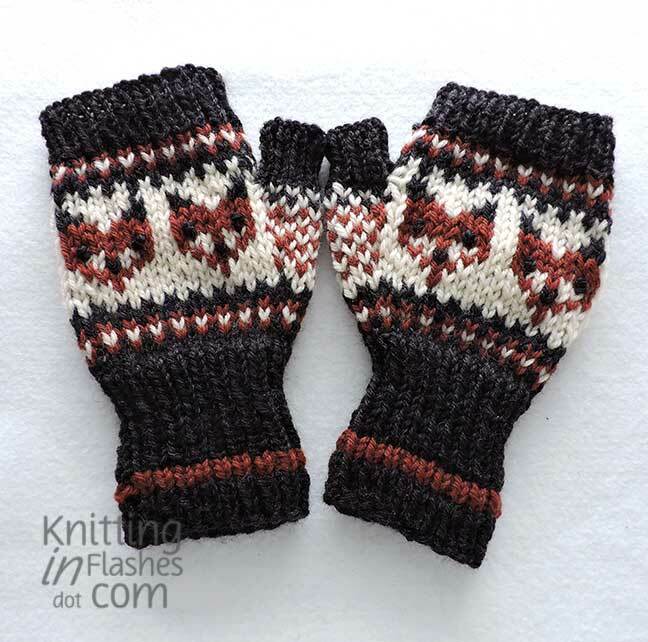 These mitts are super warm with the double layer of wool used for the fox faces. Yarns used: Cascade Heather in Jet and Japanese Maple. Brunswick Germantown Knitted Worsted in Ecru. I used less than a fourth skein (I need a yarn scale!!) of each color. This entry was posted in finished object, grandkids, knit, knitting, knitting pattern, yarn and tagged fingerless mitts, finished object, grandchildren, knit, knitting, pattern, yarn by Patti_is_knittinginflashes. Bookmark the permalink. Those are really neat and I’m sure the kids will love them. Really very nice! U amaze me.